Volcanoes, lightning strikes, and tsunamis—what natural disaster best describes your “o” moment? Or perhaps what fills your head as your body blinks its third eye at God’s coming light is a gentle rain after a long drought, a single ray of light grazing the center of a daisy, a spring bubbling in a forest, a wetlands sprouting lilies. Maybe rather than images, you hear a choir belting out “Joy to the World,” a clarion call, a cascade of flutes, or a single harp string thrummed. Describe the song, the words and instruments if any, the tone and the register. God loves a song of praise. Sing it out. Or possibly all of your boxes on the to-do list of your body get checked in black marker and every item on your pull-down menu is selected. Choose your metaphor and ride it all the way through until you’re done and done. Today’s prompt is meta or incestuous, whichever scares you the most. This poem (perhaps) came from one of my prompts (or rather a challenge) back in June, and now the prompt is title your poem “Obligatory ____ Poem” and use the following six words from Sarah’s poem: name, living, head, hiss, kindling, mirror. Try to change the usage of the words from verb to noun and vice versa or feel free to binge on gerunds like potato chips and piss off writing instructors everywhere. 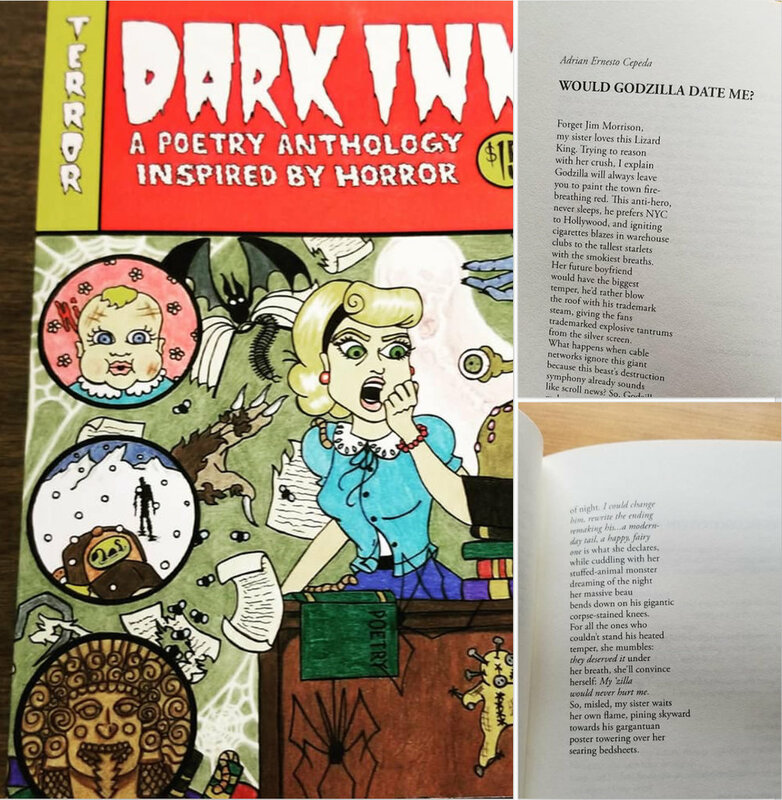 Btw, to read the rest of Sarah’s poem, you have to buy the book!!!! Muhahahahahahahah. Here’s the link! And here is that sweet face housing the diabolical mind that makes Ian’s friends worry about his incipient demise involving pogo sticks, an inflatable baby pool filled with electric eels, and a banana peel. Photo chosen because I love this children’s book and because the mouse is me, my brain, and my current level of ambition all holding a flower. We are losing species and whole populations at a horrifying rate: even insects are disappearing and the next age . Perhaps this reason is why of all the amazing poems in Emma Bolden’s House Is an Enigma, her “Between Sea and Sky” is the one I needed to share. This poem “animals” the world and the universe, perhaps a necessity one day. 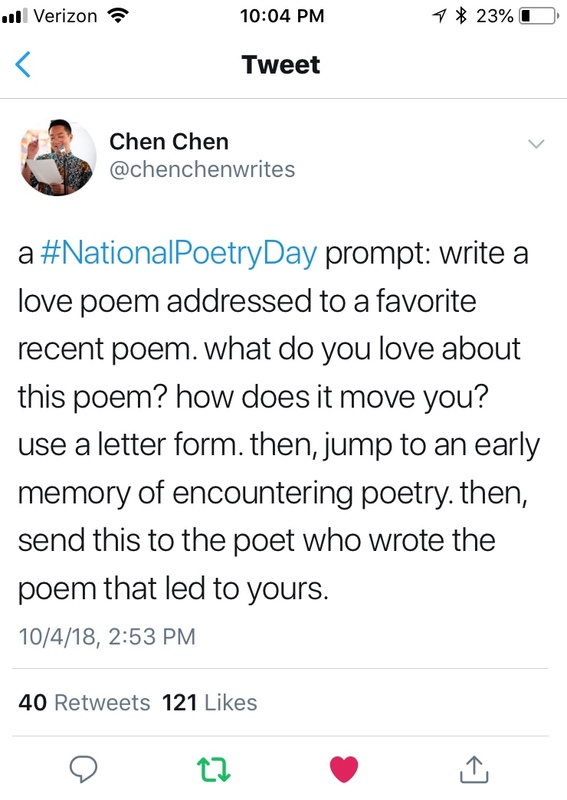 For this prompt, do the same. Rather than peopling this planet, refill it with wild creatures, species of all kinds. If we lose the bees, let them hum in dandelion and cracked sidewalk. Let each grain of sand embody an ant that once tunneled teeming cities. See the glitter of a dragonfly in glass shards and hear the soft cooing of a dove in morning drizzle. Make an interstate a river of leaping salmon, the exhaust the heavy breathing of a predator. If the oceans mirror the void between stars, turn every desolate wave into fin and feather. Let the stars hiss back at us, we who sought to grasp what was out of reach and let go of what could be sheltered within our palms. “Between Sea and Sky” was originally published as “Melancholy Between Sea and Sky” in Escape into Life. And, please, buy the book. House Is an Enigma is beautiful and aching.